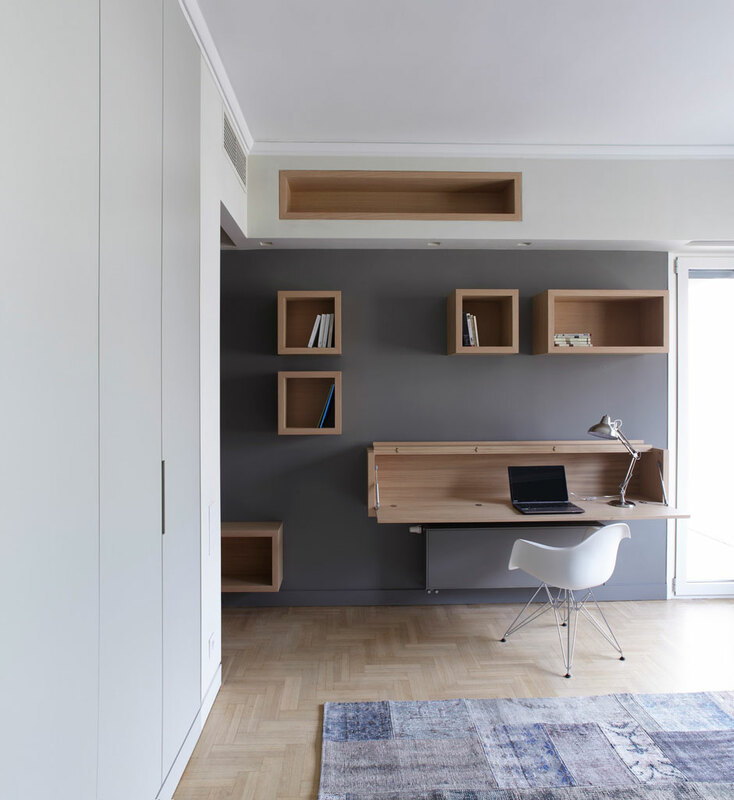 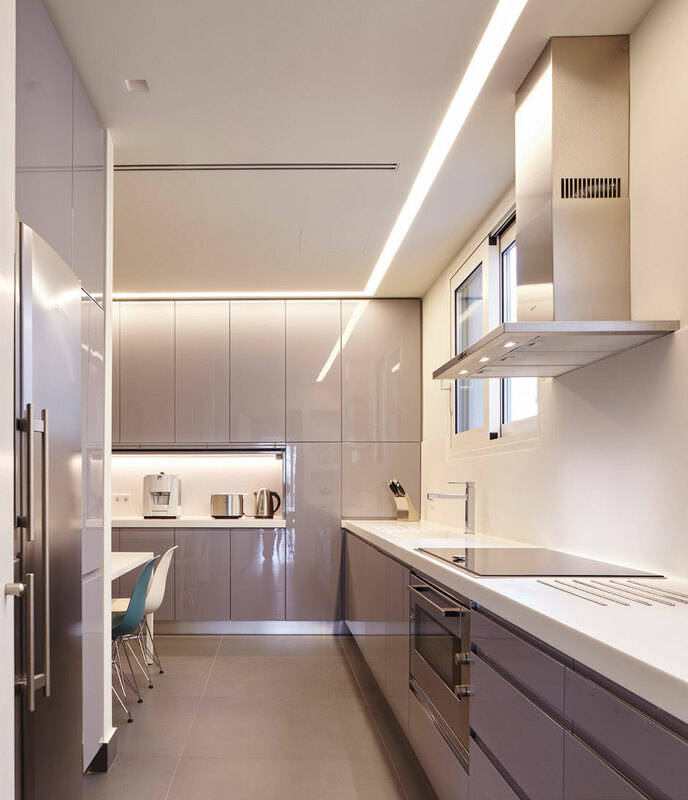 The intent of the project was to renovate the 1950’s , 220 m2 Athenian apartment , in order to provide contemporary living requirements, while maintaining selected aspects of the existing architecture and decoration. 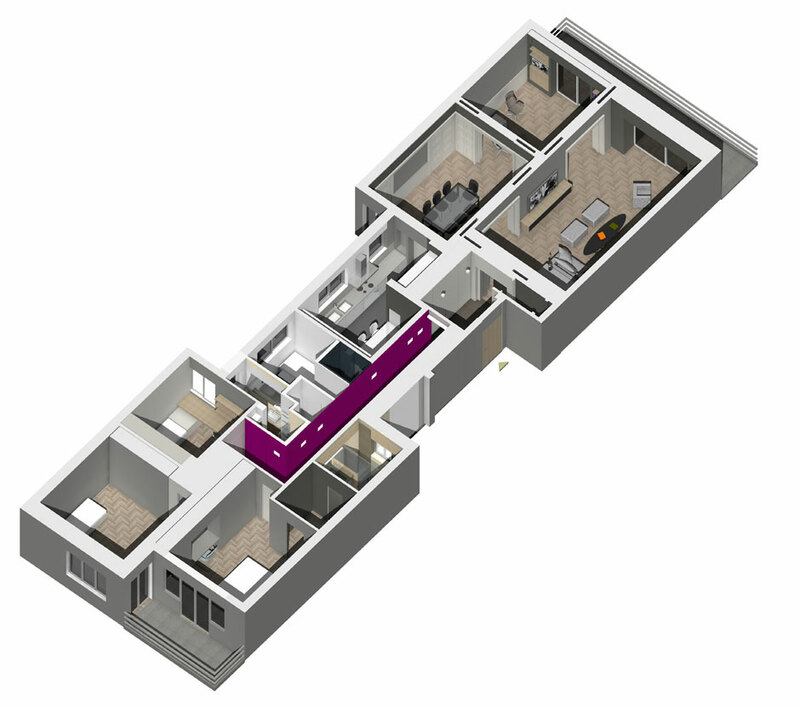 In terms of layout, living and dining areas were maintained, while limited modifications were made to the three existing bedrooms. 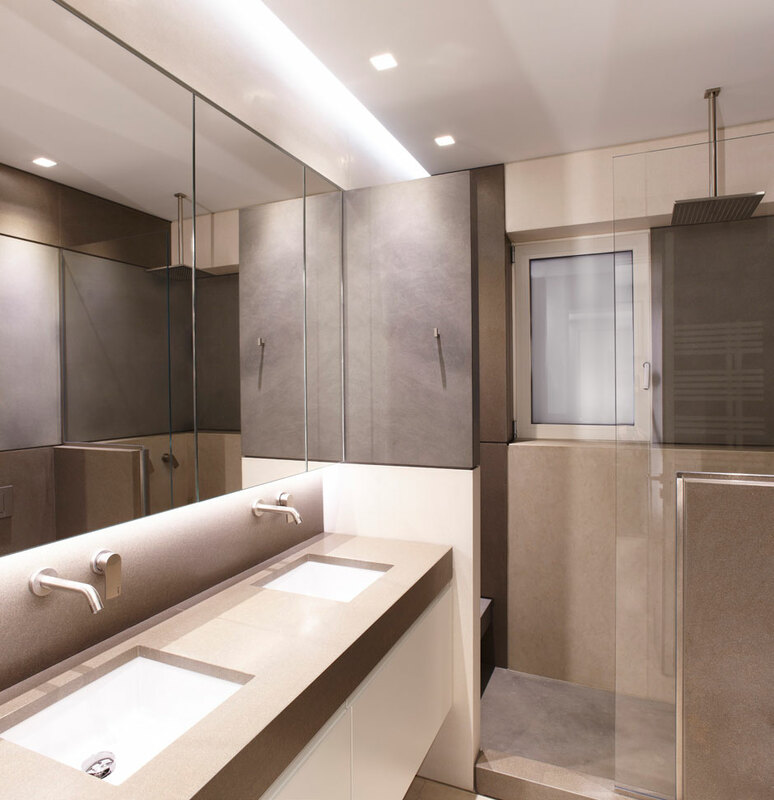 Extensive changes were made however in the service areas, including a new kitchen, wc, autonomous maid’s room and bathroom, new storage areas. These new auxiliary uses occupy a central “box” that separates the public areas towards the street, from the bedrooms in the back.